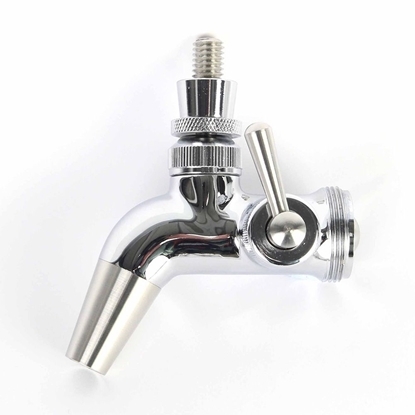 This Growler/Bottle filling spout can be fitted to both the Intertap SS Tap and Intertap Chrome Plated tap. The Spout has a 13mm barb which you can attach some hose so you can fill your growler or bottle from the bottom up to minimise foaming. This Growler/Bottle filling spout can be fitted to both the Intertap SS Tap www.craftbrewer.com.au/shop/details.asp and Intertap Chrome Plated tap www.craftbrewer.com.au/shop/details.asp. 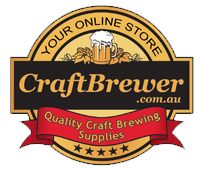 The Growler FIller Spout has a 13mm barb which you can attach some hose so you can fill your growler or bottle from the bottom up to minimise foaming. The 8473 model is the top of the range Intertap™ Flow Control (FC) Stainless Steel model. It has all the advantages of the traditional Intertap™ design and is made from 304 grade stainless steel. In addition to this, it also had the added advantage of the flow control leaver on the right hand side of the tap. This adjustment gives the operator full control over the flow speed. This makes balancing your beer lines a snap. This type of tap is typically suited to customers who are often switching from one beer style to the next and want maximum flexibility in their draft system. 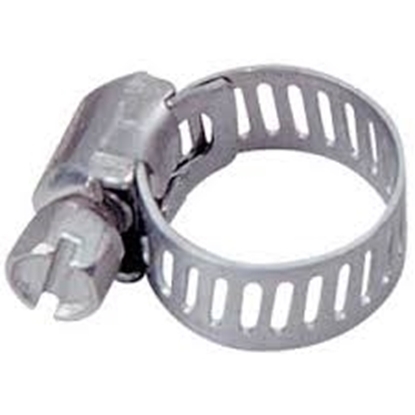 The Intertap™ FC cannot be used with the shank spring so this tap should be manually turned off after use. 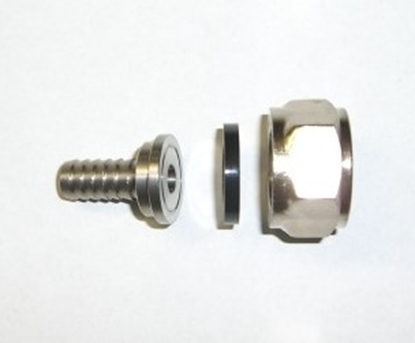 Typically most beer taps use a rear sealing design and the beer in the tap drains from the body of the tap with the help from a vent hole drilled at the front of the tap. This drainage hole is a dark and wet cavity and is an ideal place for airborne bacteria and wild yeast to reproduce leaving a foul film that deteriorates the quality of your beer. Every time the faucet is opened contamination occurs. Now, when you close your Intertap™ tap, the forward sealing design shuts off the flow at the front of the tap which in turn keeps wild yeast and bacteria out of the interior of the tap body. Put end to substandard beer and only use Intertap™. 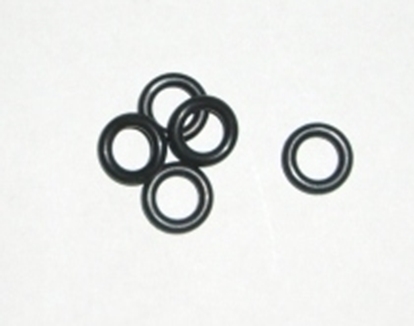 Other forward sealing designs exist but nothing with the same level of reliability. It’s easy to find other “perl” forward sealing design taps however these taps use a floating o-ring design which by all means is equally as sanitary however the floating o-ring requires the oring to move within the tap body to seal correctly. This movement is typically a problem as the tap ages and/or is not serviced regularly. 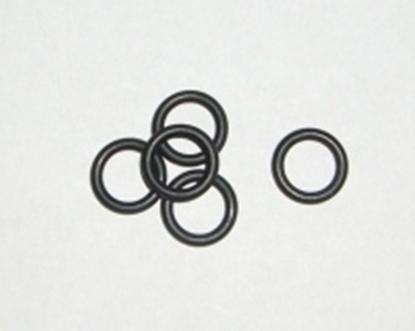 Intertap™ uses a sliding shuttle that holds the o-ring perfectly in position allowing a more reliable connection to be made with the seal. This is what makes Intertap™ the most reliable forward sealing design available. VERSATILITY Intertap™ uses a threaded spout that can easily be removed and replaced with a range of other spouts including: ~ Stout Spout ~ ~ English Sparkler Spout ~ ~ Growler Filler ~ ~ Ball Lock Post Spout ~ Other tap designs require you to replace the tap on the font when changing from one beer style to the next. Intertap™ allows you to simply unscrew the standard spout and attach a range of different spout options to suit your beer style. Eliminate the need to ever replace your beer taps again and simply just purchase the spouts that you need. Note: This item is the tap only to make a complete unit you will also need to purchase a tap handle and a shank, links for these are below. 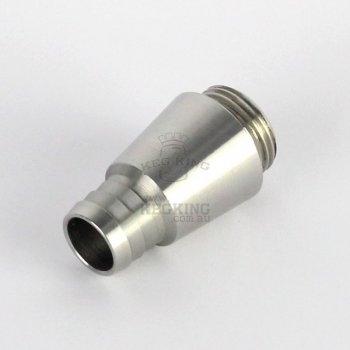 will allow you to connect 5mm or 6mm ID beer line to your through fridge shank. All parts that come in contact with your beer are Stainless.